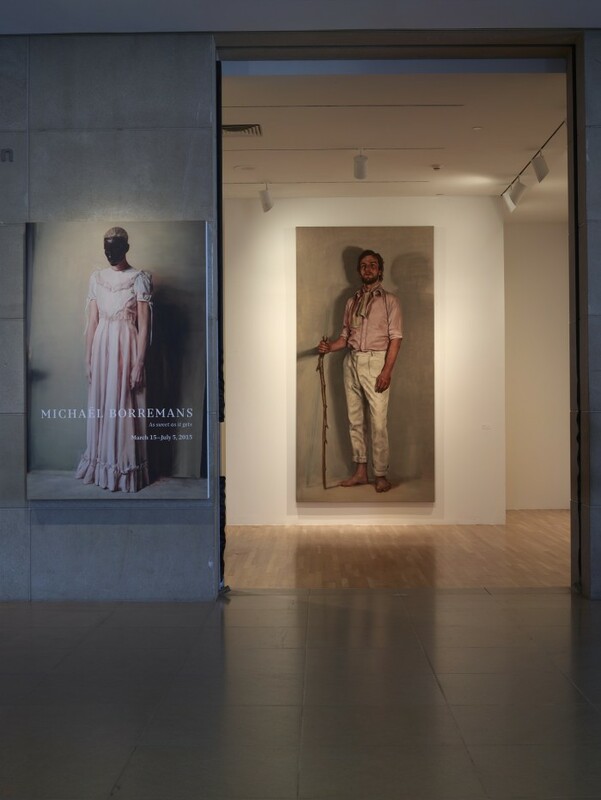 The Dallas Museum of Art presents the U.S. premiere of the major traveling exhibition on the work of contemporary Belgian artist Michaël Borremans. Co-organized by the DMA and Centre for Fine Arts, Brussels (BOZAR) and curated by Jeffrey Grove, Michaël Borremans: As sweet as it gets, on view March 15 through July 5, 2015, is the most comprehensive survey of the artist’s career, bringing together paintings, drawings and films produced over the last 15 years. 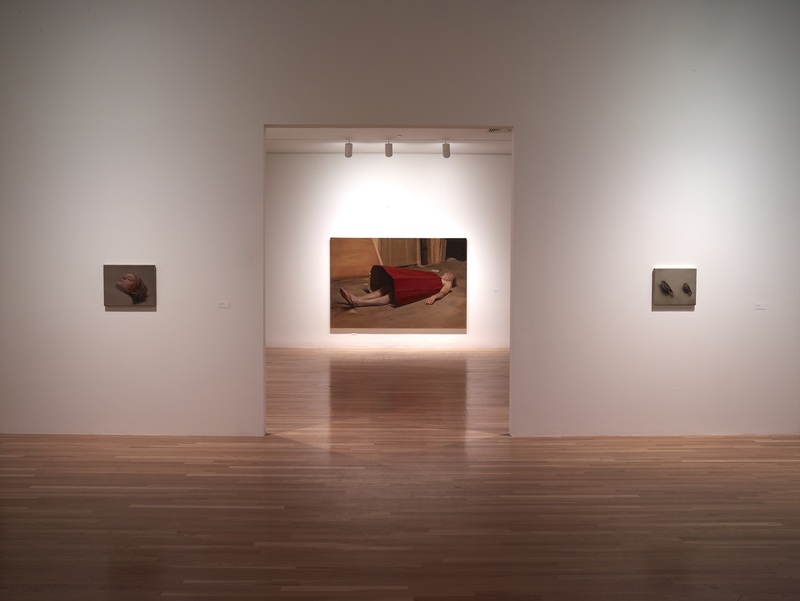 Featuring roughly 100 works, this exhibition provides compelling insight into the artist’s evolving practice by exploring the broad themes and visual references that Borremans brings to play in creating his psychologically charged, if strangely ambiguous, image world. 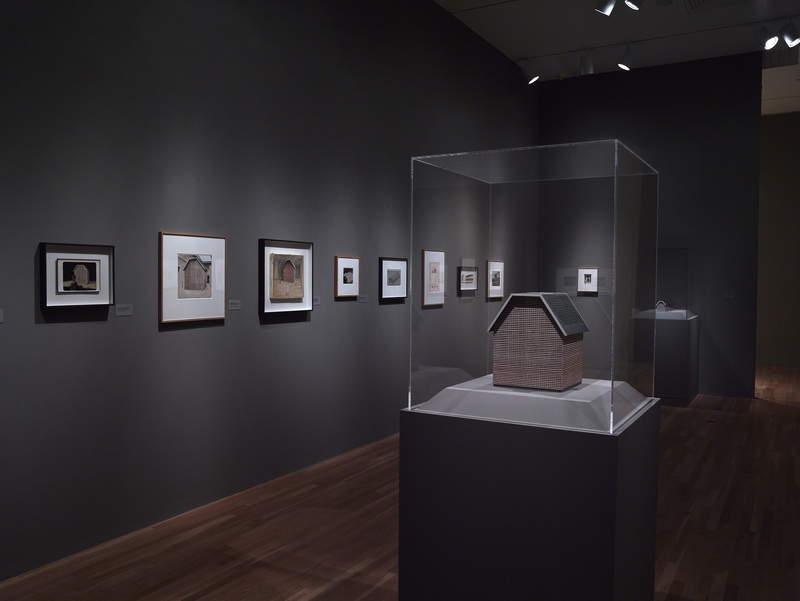 The exhibition opened to wide critical and popular acclaim last February in Brussels and at the Tel Aviv Museum of Art this past September, and will be on view exclusively in North America at the DMA. 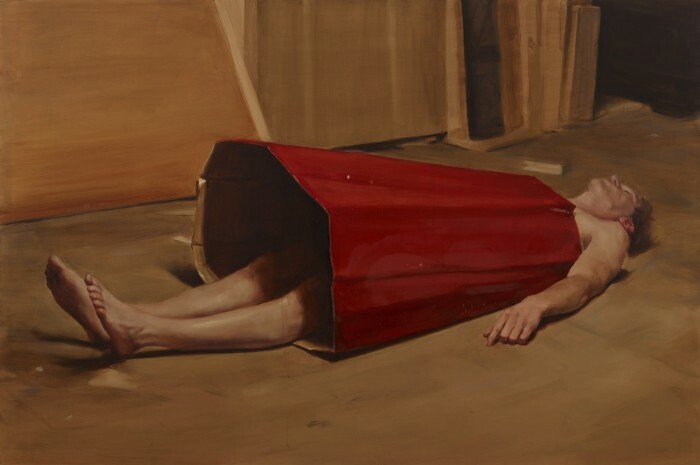 Since the late 1990s, when he first began to exhibit his paintings and drawings, Michaël Borremans has created an improbably mature body of work that quickly captured international attention. 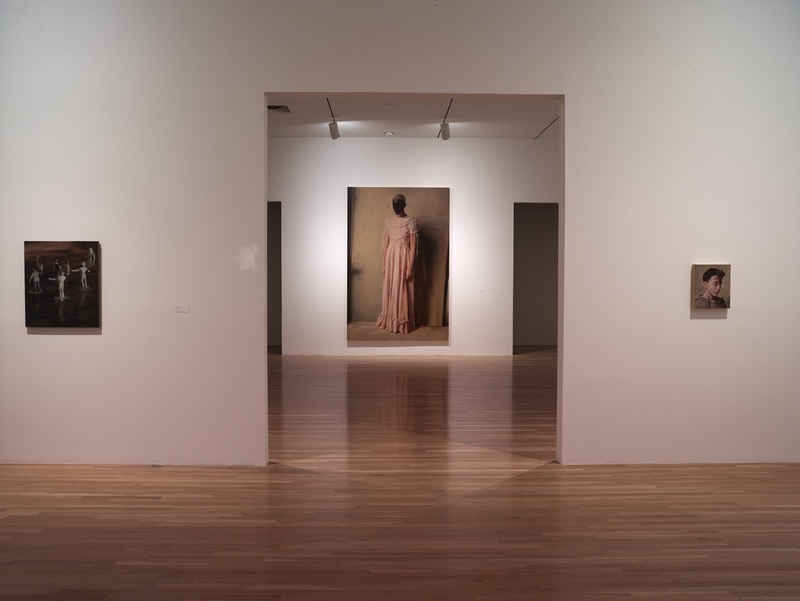 This highly anticipated exhibition provides an overview of Borremans’ work spanning his entire career, featuring a complex and diverse selection of works in all media to illuminate the artist’s compelling approach to creating powerful tableaux of indeterminacy and mystery. 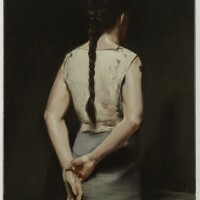 Michaël Borremans: As sweet as it gets is composed of well-known and rarely exhibited works from private and public collections in Europe and the United States, including approximately 50 paintings, 45 drawings, and five films. 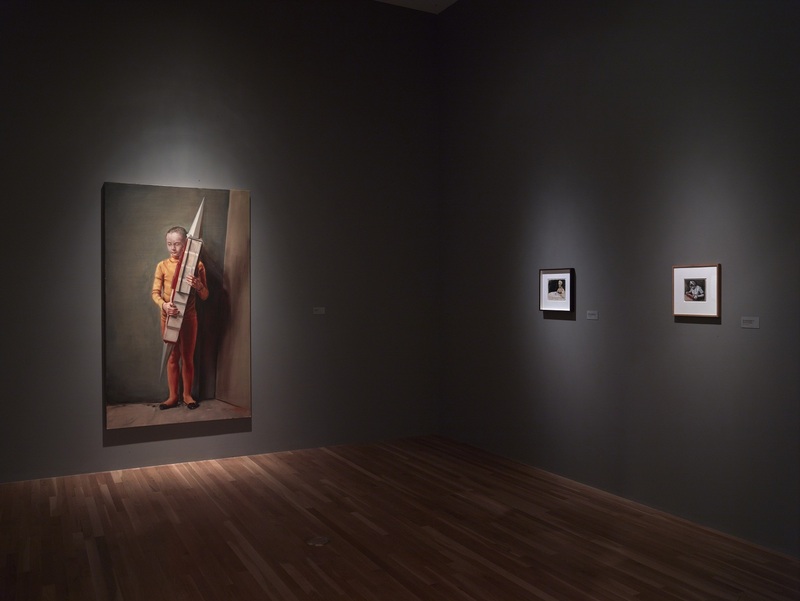 The carefully curated selection provides viewers with a singular opportunity to experience Borremans’ experimentations across media. 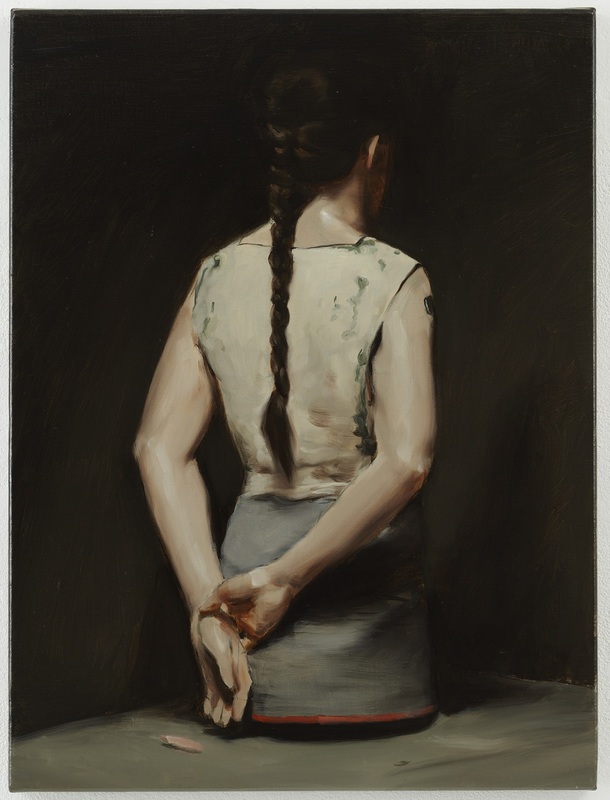 Borremans’ work often evokes sensations of dislocation and disruption with unconventional compositions, unsettling scenes, and suggestive psychological spaces. 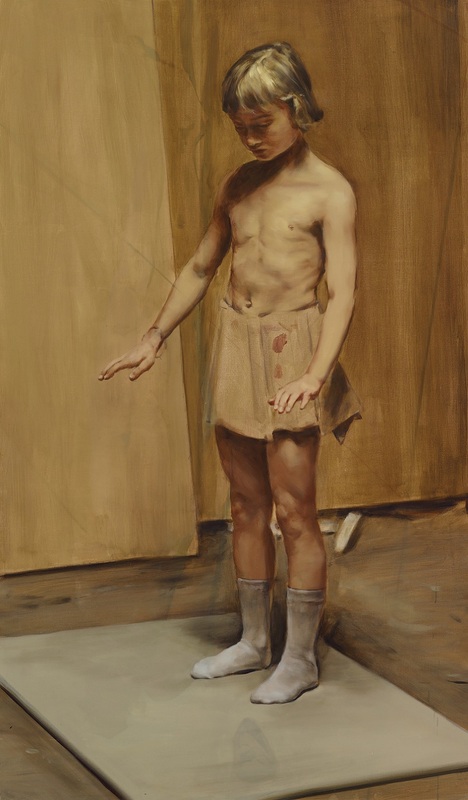 In his paintings, Borremans employs hallucinatory symbols and signifiers while referencing great masters in art history, from Velázquez to Goya. 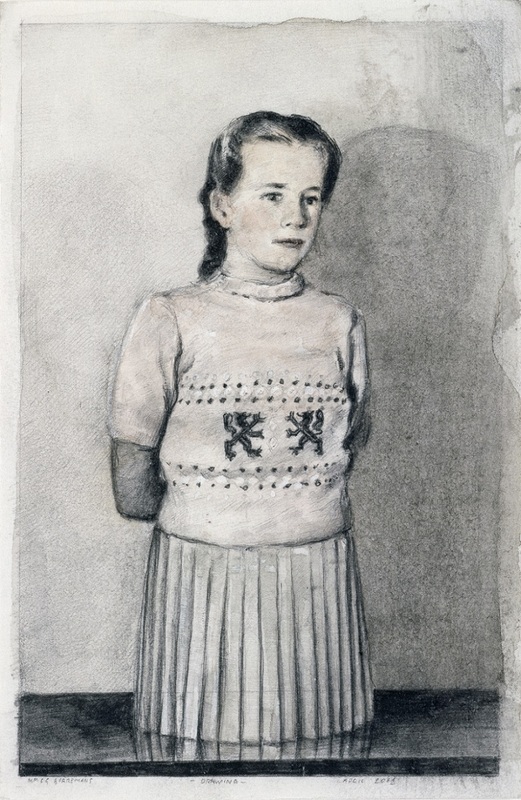 Particularly in his drawings, which are more suggestively narrative than his paintings, Borremans places his figures in unknown states and locations that convey an indefinable sense of time and place. 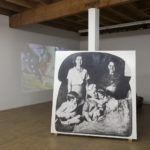 In this way, the work is saturated by the surrealist propensity to evade logical association, a trait he shares with countrymen including James Ensor, René Magritte, and Marcel Broodthaers. 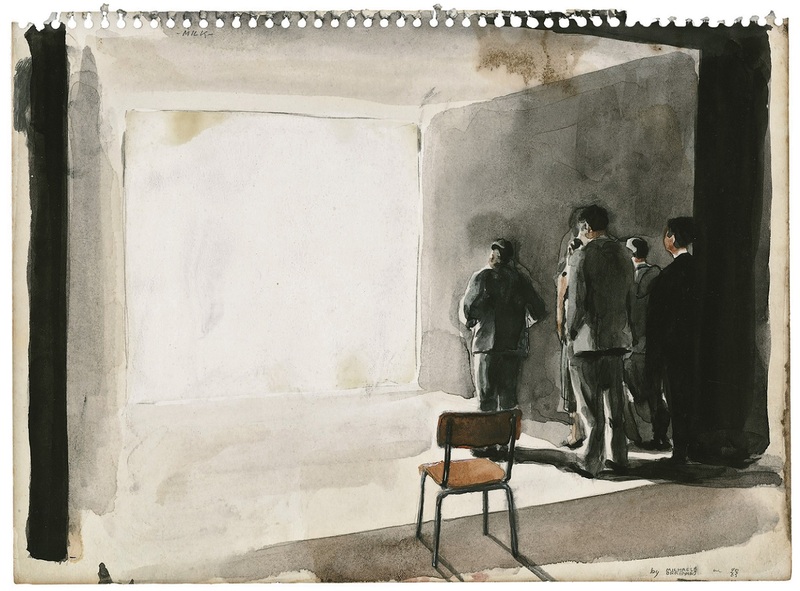 – Glass and Blood, 2001, is a drawing that rejects the didactic nature of conventional illustration. Rendered with the fulsome and frilly coquettish quality Boucher and Fragonard brought to their confections depicting the laissez faire dames of the 18th-century bourgeoisie, these disembodied figures appear decorative. 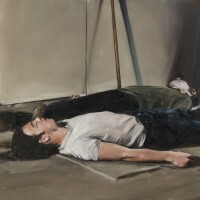 Like so many of the figures Borremans depicts, their expressions are benign, indicating they have no interior reality. 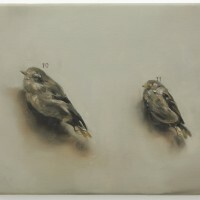 – The Avoider, 2006, is Borremans’ first painting executed on a truly epic scale. 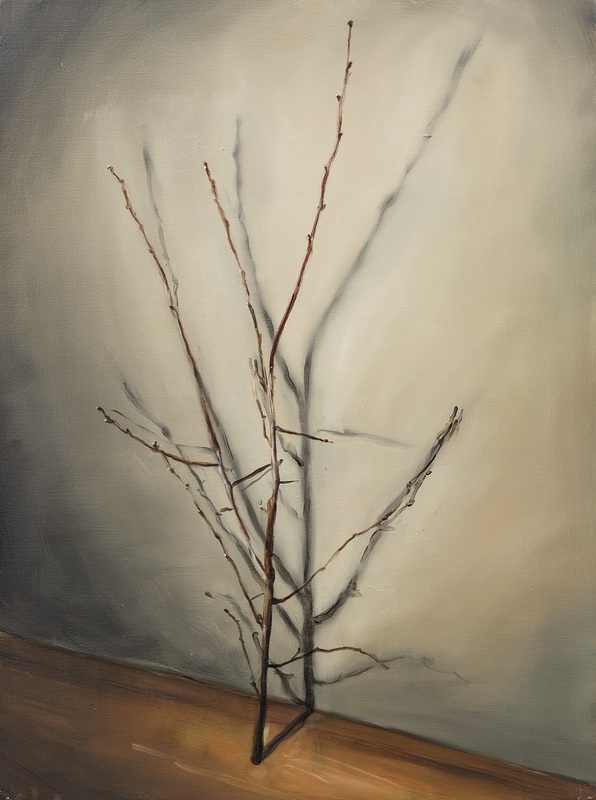 Revealing both his training in photography and engagement with art history, this painting discloses the beauty and ambiguity that structures so much of his practice. 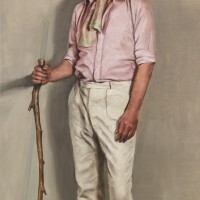 Recalling Gustave Courbet’s The Meeting, 1854, Borremans’ rendition conflates the image of a stylish flâneur of the city with that of a humble country shepherd. 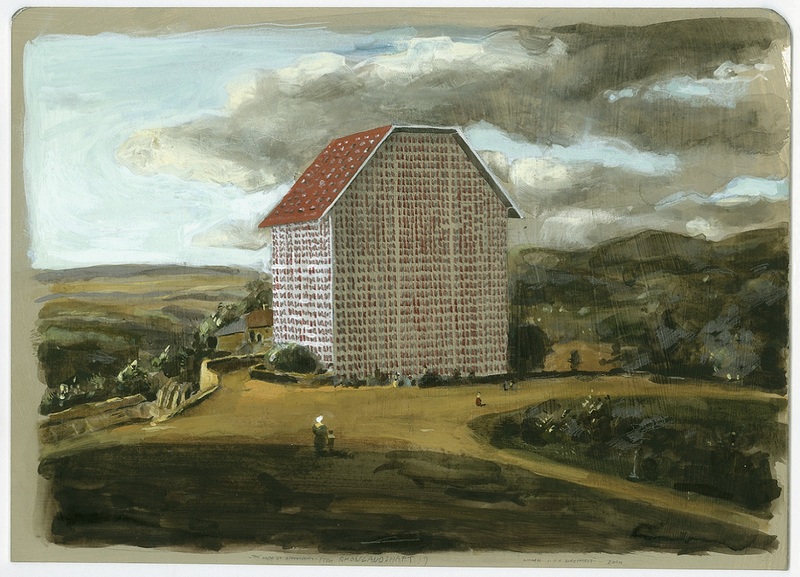 – Trickland, 2002, is a landscape painting in which the distorted scale of a large figure hovering over a miniature pastoral scene enforces the illogical relationships and shifting levels of reality that typify Borremans’ practice. 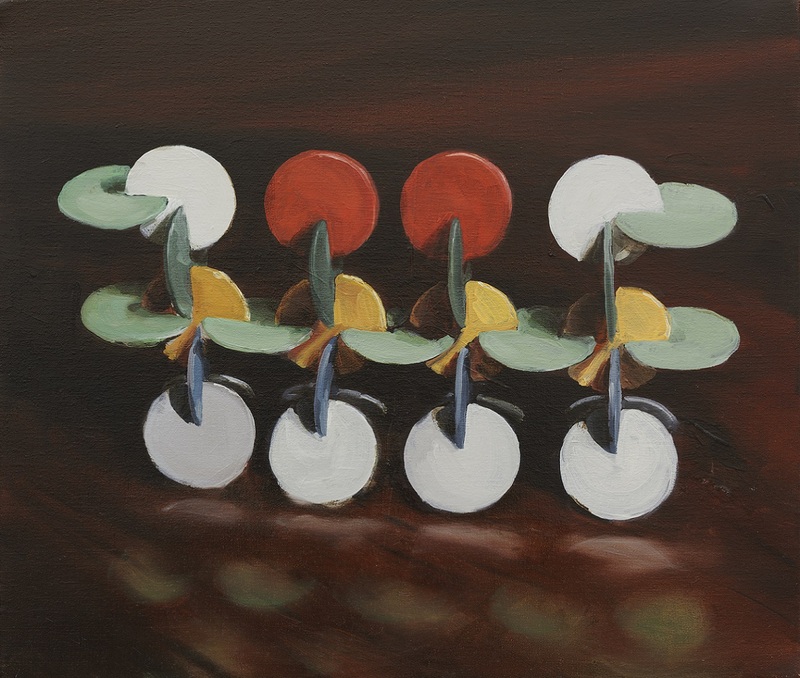 This work is one in the “Trickland” series, which is composed of six paintings that read sequentially like a film and presage Borremans first experiments with moving images. 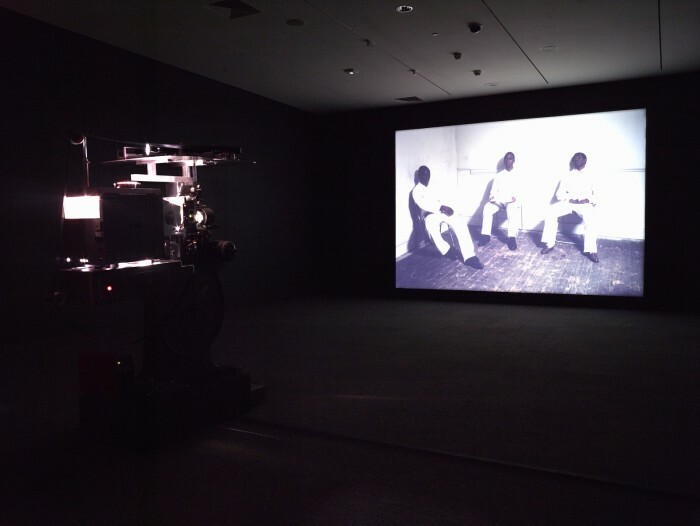 – The Storm, 2006, is a film that exemplifies the evolution of Borremans’ process. 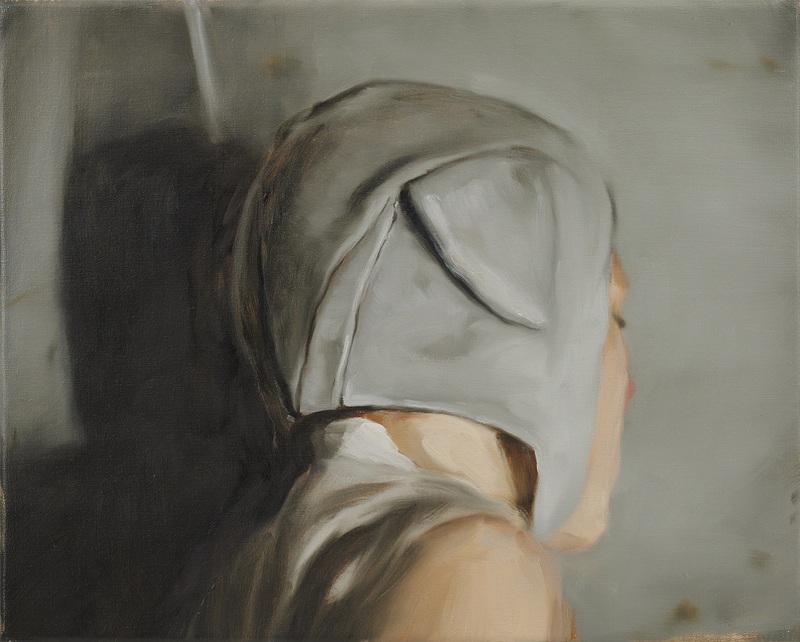 While many of his early paintings were based on found photographs and film stills, Borremans has matured into a filmmaker who creates moving images that mimic paintings. 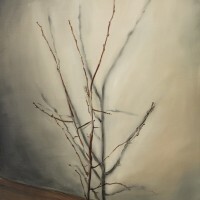 This silent film directly connects to the stillness and muted quality in his paintings. 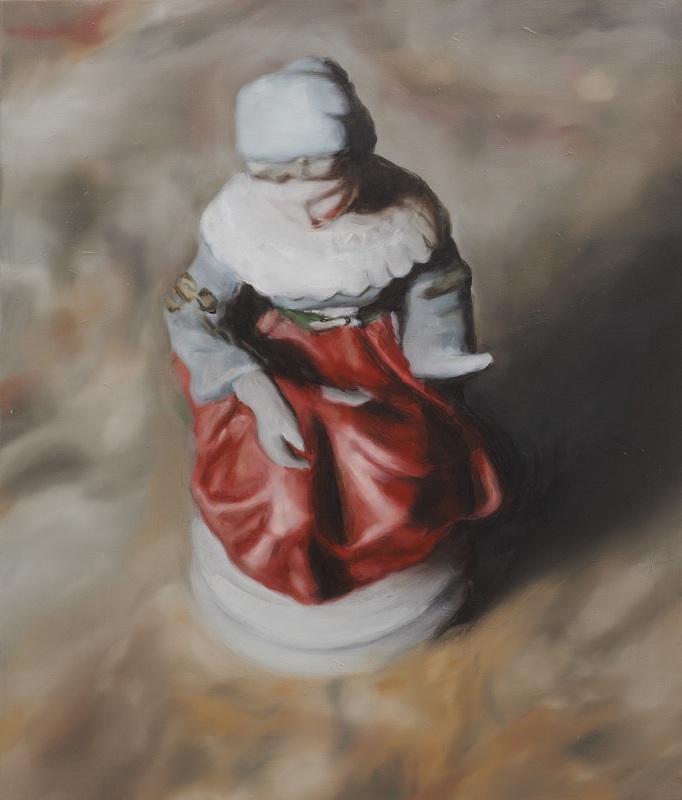 – The Devil’s Dress, 2011, acknowledges Borremans’ dialogue with previous art historical epochs; analogies to Edouard Manet’s The Dead Toreador, 1864, are all but unavoidable. 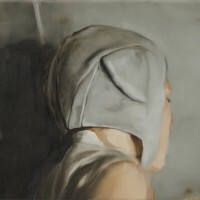 Yet, the unconventional composition, curious narrative and suggestive psychological space captured in the painting connect the work not only to the rich history of Belgian surrealism but to Borremans’ own interest in the Absurd. 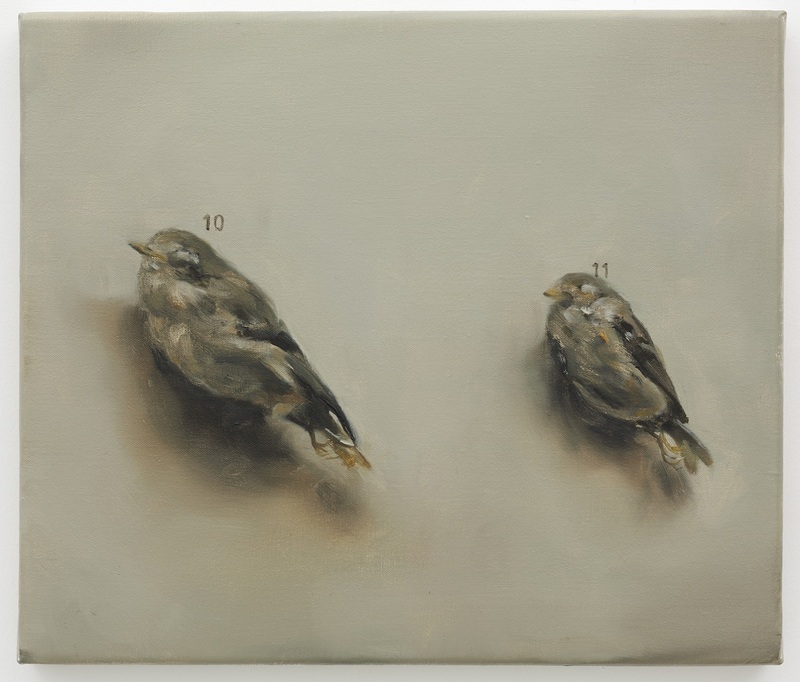 DMA Friends will be able to earn the Michaël Borremans Special Exhibition Badge while the show is on view. For more information on the DMA Friends program, visit DMA.org/friends. 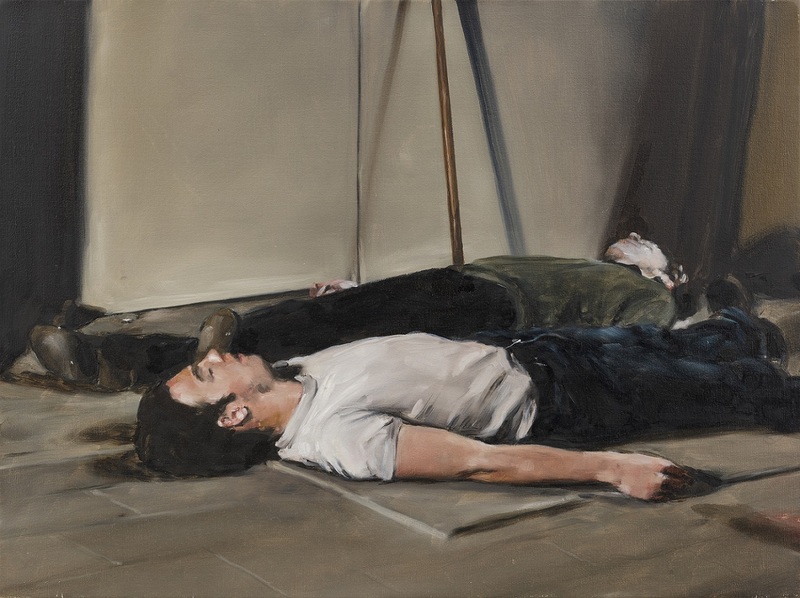 Michaël Borremans will discuss his life and work with Jeffrey Grove on Thursday, March 12 at 7:00 p.m. Additional programs, including gallery talks, will be scheduled throughout the run of the exhibition. 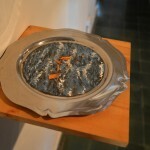 For dates, prices, and details, visit DMA.org. 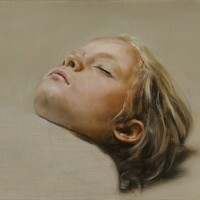 Belgian artist Michaël Borremans (b. 1963) obtained a Master of Fine Arts from the Hogeschool voor Kunst en Wetenschappen Sint-Lucas Gent, with a specialization in engraving. 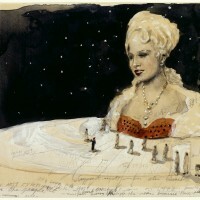 Until well into his 30s, he worked as an art teacher, engraver and photographer. 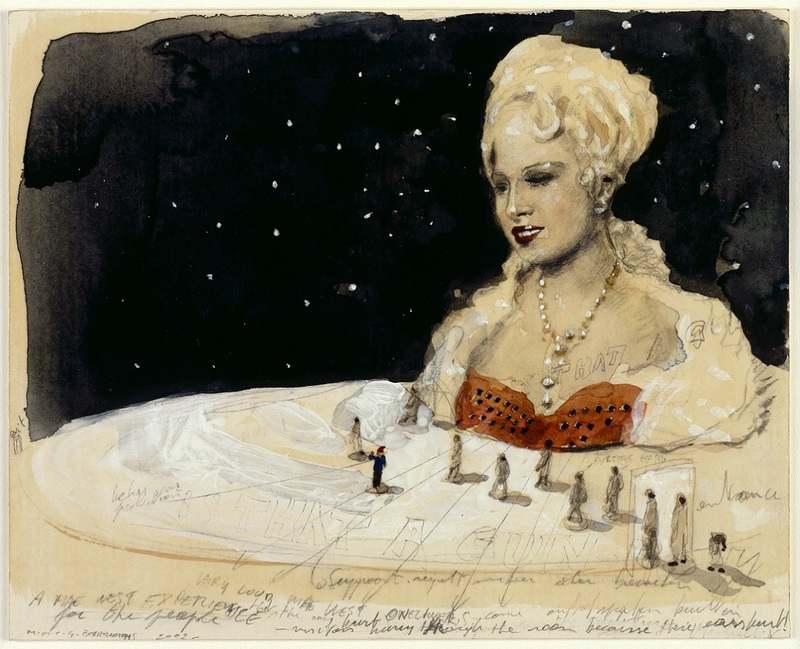 He produced his first professional drawings in the late 1990s, and more recently incorporated painting into his practice. 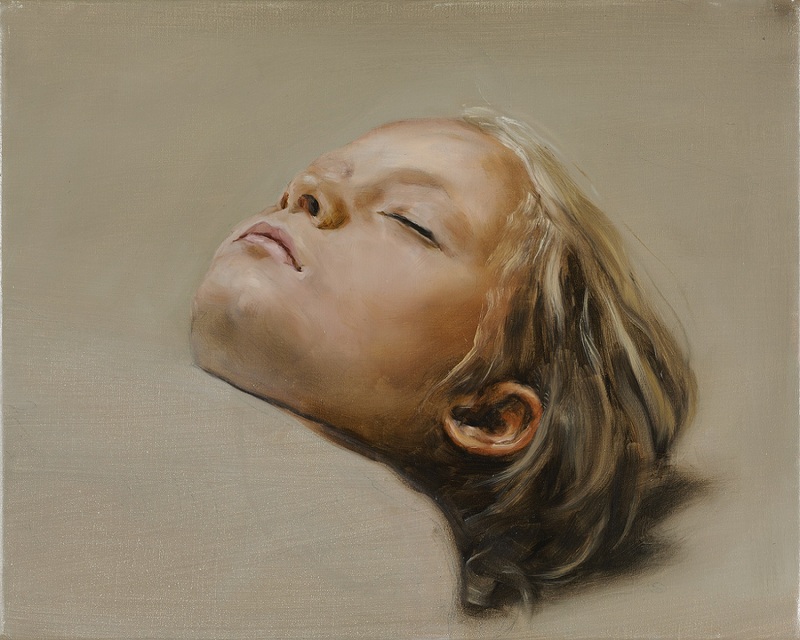 In the past two decades, Borremans has built a mature body of work, garnering international attention. 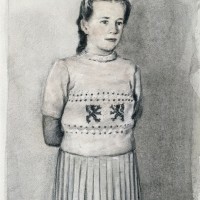 Borremans’ work has been the subject of solo exhibitions at several international museums, including the Museum für Gegenwartskunst in Basel, Switzerland (2004); S.M.A.K. 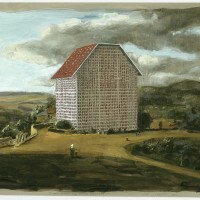 in Ghent, Belgium (2005); La Maison Rouge in Paris (2006); the Kestner Gesellschaft in Hannover, Denmark (2009); the Museum of Contemporary Art, Denver (2010); and the Kunsthalle Helsinki (2011). 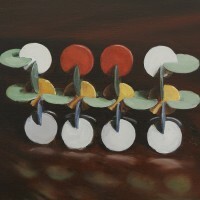 His artwork is included in the permanent collections of many institutions, including S.M.A.K., Ghent, Belgium; The Art Institute of Chicago; The Israel Museum, Jerusalem; Museum of Contemporary Art, Los Angeles; the Museum of Modern Art, New York; National Gallery of Canada, Ottawa; the San Francisco Museum of Modern Art; and the Walker Art Center, Minneapolis. 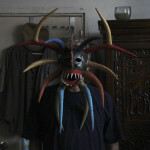 He is represented by David Zwirner Gallery in New York and Zeno X Gallery in Antwerp, Belgium. 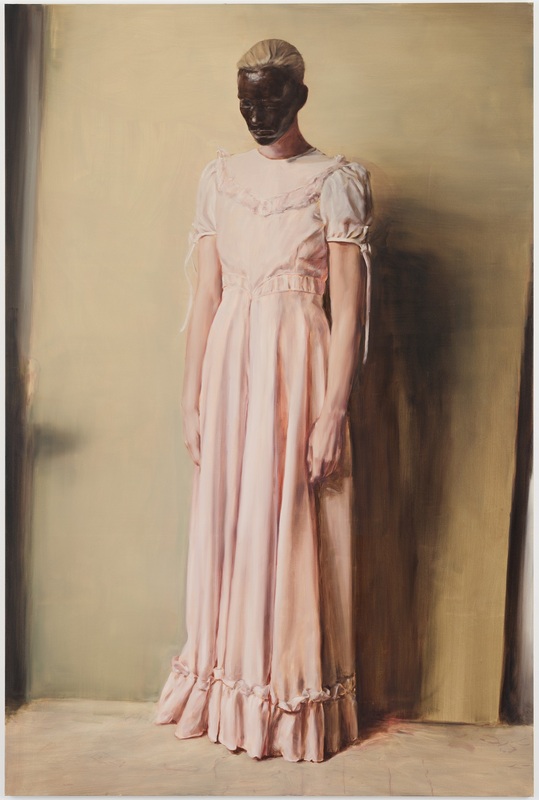 Michaël Borremans: As sweet as it gets is curated by Jeffrey Grove. 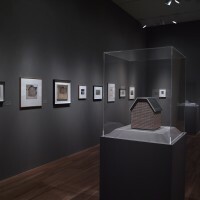 The presentation is made possible by TWO X TWO for AIDS and Art, an annual fundraising event that jointly benefits amfAR, The Foundation for AIDS Research and the Dallas Museum of Art, and by the Contemporary Art Initiative. 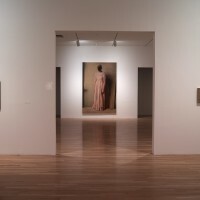 Established in 1903, the Dallas Museum of Art (DMA) is among the 10 largest art museums in the country and is distinguished by its commitment to research, innovation, and public engagement. At the heart of the Museum and its programs is its global collection, which encompasses more than 23,000 works and spans 5,000 years of history, representing a full range of world cultures. 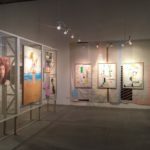 Located in the nation’s largest arts district, the Museum welcomes over 650,000 visitors annually and acts as a catalyst for community creativity, engaging people of all ages and backgrounds with a diverse spectrum of programming, from exhibitions and lectures to concerts, literary events, and dramatic and dance presentations. 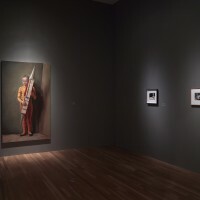 In January 2013, the DMA returned to a free general admission policy and launched DMA Friends, the first free museum membership program in the country, which currently has over 90,000 members. 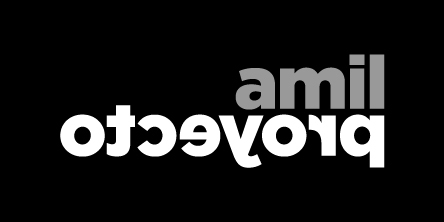 For more information, visit DMA.org. 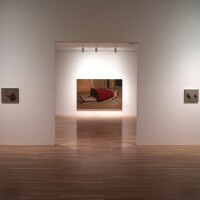 The Dallas Museum of Art is supported, in part, by the generosity of DMA Partners and donors, the citizens of Dallas through the City of Dallas Office of Cultural Affairs, and the Texas Commission on the Arts. 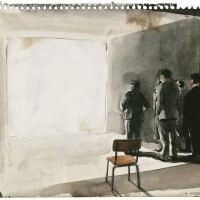 – Glass and Blood, 2001, is a drawing that rejects the didactic nature of conventional illustration. 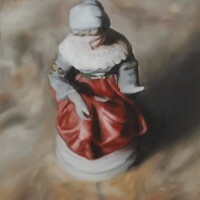 Rendered with the fulsome and frilly coquettish quality Boucher and Fragonard brought to their confections depicting the laissez faire dames of the 18th-century bourgeoisie, these disembodied figures appear decorative. 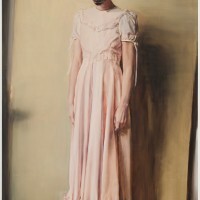 Like so many of the figures Borremans depicts, their expressions are benign, indicating they have no interior reality.